Recently, I received a list of Washington State Delegation delegates for the Democratic National Convention (DNC). 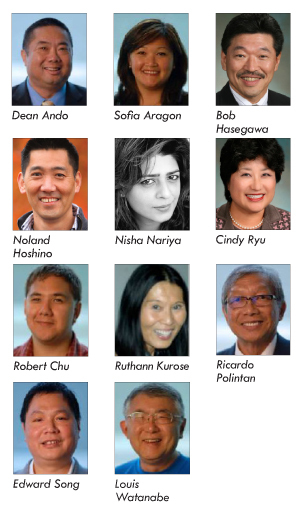 More than 150 delegates are represented, 10 percent of which are Asian Americans, including Sofia Aragon, Robert Chu, Ruthann Kurose, Rep. Cindy Ryu, Ricardo Polintan, Nisha Nariya, Edward Song, Louis Watanabe, Rep. Bob Hasegawa, Noland Hoshino, and more. Also in attendance was Dean Ando, who passed around a copy of a childhood photo he took with a very young Obama. I was at the DNC in New York as a media guest in 1992, when Bill Clinton was the presidential nominee. Even at that time, the API presence at the DNC was impressive. Normally, because I am an independent, I wouldn’t want to spend that kind of money to go to a political convention. But I was there because I made a promise to my friend June Chen, who was running to be a Clinton delegate. It was the first time Washington Demorats elected a Taiwanese immigrant to be a delegate. Chen had to campaign to get enough votes. She had to make speeches. “If you got the position, I’ll go with you to the convention,” I replied. And then I encouraged her to practice her speech.